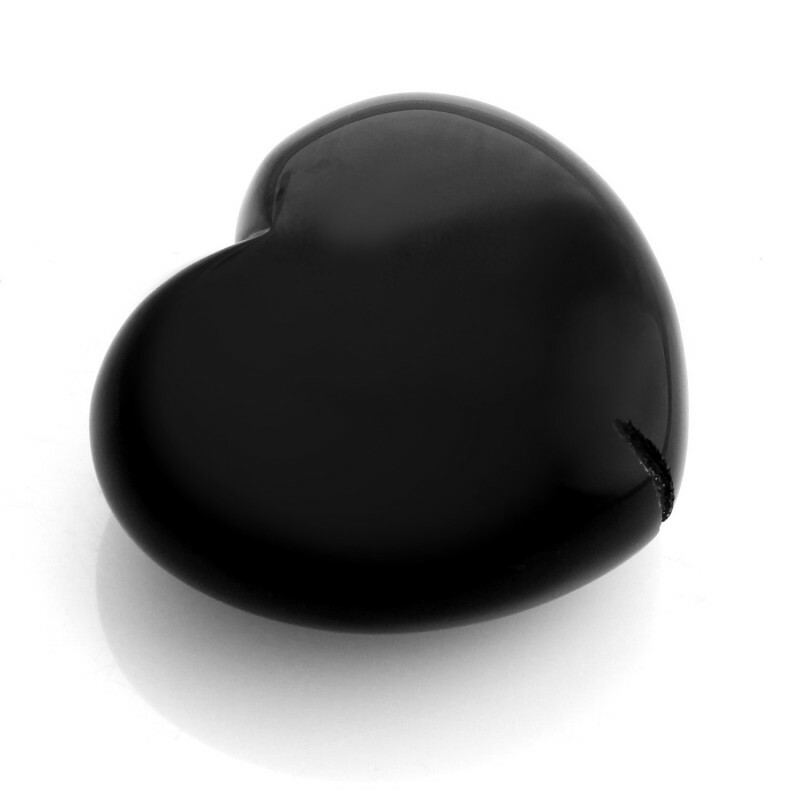 The onyx heart shape is perfectly polished and feels very soft to the touch. It has a slit to facilitate crimping. This onyx heart measures approximately 4 cm x 4.5 cm, and its weight is about 52.60 g.